We all know that life happens and messes can be made. Pets can make messes. Kids can make messes. Spouses make messes! Some of us have Kids. Some of have dogs. Some of us have spouses. That doesn’t mean that it has to be a longterm chore of constant scrubbing or having to find something to cover that nasty stain that would never come out. Even after trying every brand of carpet cleaner on the market. Stop hiding your stains with area rugs and allow yourself to embrace the latest technology in stain resistance and get caught up with modern flooring options. Carpets in Dalton carries a wide variety of products that will eliminate the need to worry when a pet or loved one or both make a mess! What is the best type of carpeting or flooring designed for pets & their owners? 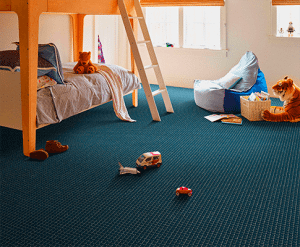 The Carpet fibers are constructed to help resist stains and soil and event certain types of bacteria and mold growth. We’ve come a long way from straw huts and dirt floors in the timeline of human existence. Pet owners looking for new carpet solutions should have two primary thoughts: stain resistance & durability. Pet problems and wear and tear from our four-legged friends can really take a nasty beating on your carpeting and can shorten the life of the flooring. Some carpets have been specifically designed to prevent pet stains from soaking through to your carpet padding, where the moisture can create mold and bacteria growing in the shadows. Pets are our family too. Their needs can and should influence your Carpet and Flooring choices when it comes to build new or remodel. 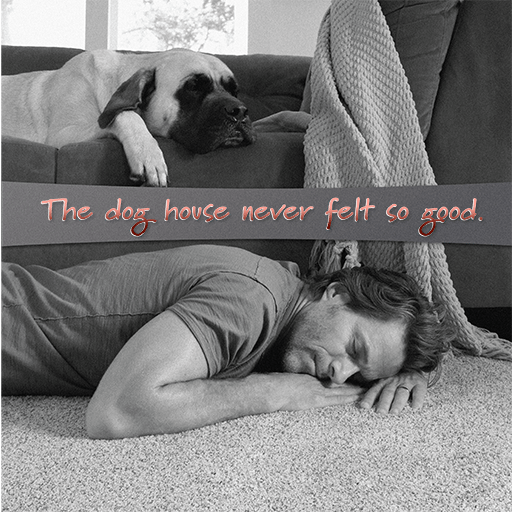 You’ll want to find durable, easy-care Flooring that accommodates your dog or pet’s size, age and temperament. Some pet-friendly products are also eco-friendly; good for your pet’s health, and good for the earth. We can discuss pet-friendly options and help weigh out your biggest concerns. Pet Urine, feces and vomit can not only stain but create nasty odors that linger if not taken care of . Spills from Water or Food Bowls. Pet owners are also guilty of tripping over the dishes and spilling items. Hate carpet? Want a Luxury Vinyl or a Hard surface option that is easy to clean and pet / kid stain resistant? 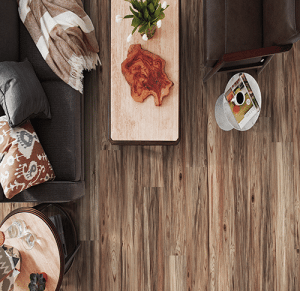 Waterproof hard flooring options are only a click away . FLOORS THAT WORK SO HARD SO EVERYTHING ELSE IS EASY. 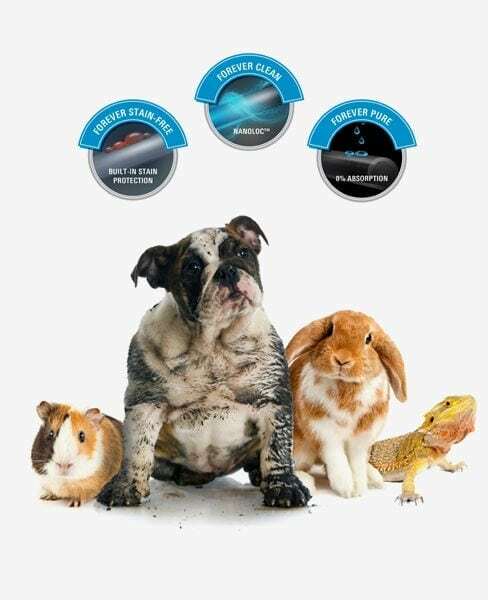 Don’t like carpet but want a hard surface flooring solution that will be easy to clean and not have the worry about spills penetrating and creating warps, mold growth and other hidden odors that accumulate from pet accidents? 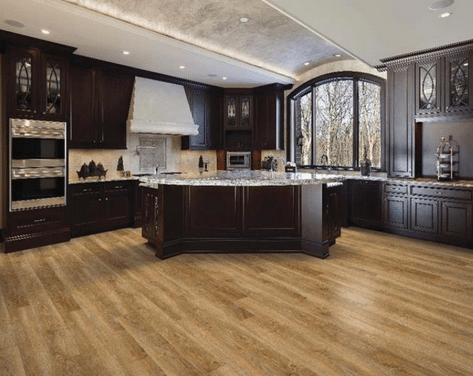 Most luxury vinyl tile and luxury vinyl plank floors have a protective coating which offers the best stain protection. 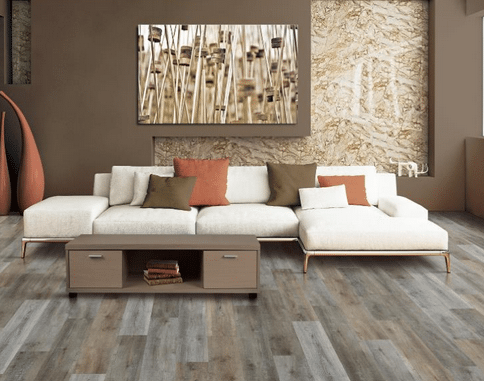 In our premium collection of luxury vinyl floors, you can get antimicrobial protection which guards against stain and odor-causing bacteria on the surface. value for our customers in the LVT category! 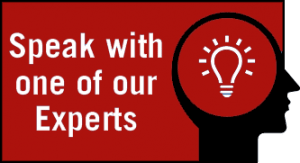 Speak to one of our LVT Flooring Experts today to get the right information about your needs!